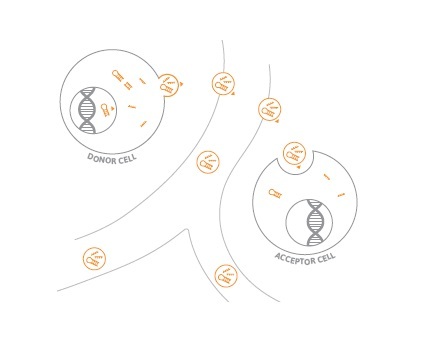 The thrombomiR™ kit enables simple and standardized analysis of microRNA biomarkers for platelet function. 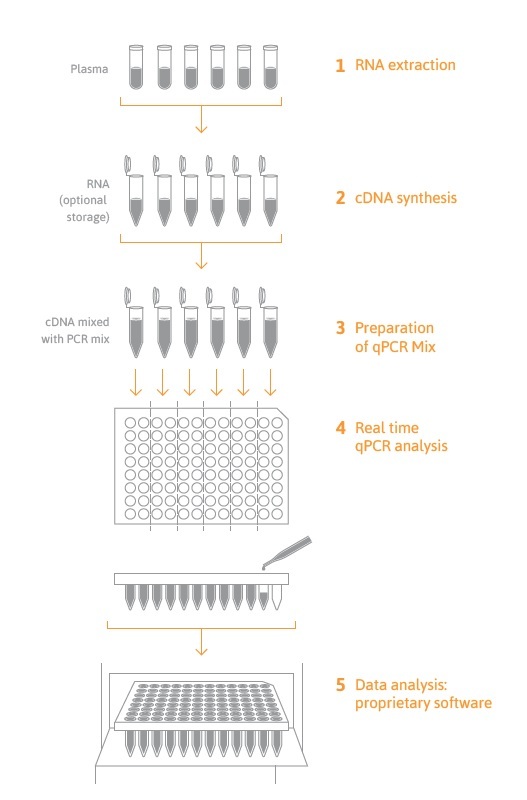 All-In-One kit: the thrombomiR™ kit contains all necessary reagents for RNA extraction, cDNA synthesis, preparation of PCR Mix, real time PCR analysis, data analysis: tailored software. Bye A, et al. Circulating microRNAs predict future fatal myocardial infarction in healthy individuals - The HUNT study. 2016 J Mol Cell Cardiol. Kaudewitz D, et al. Association of MicroRNAs and YRNAs With Platelet Function. 2016 Circ Res. Mayr M, et al. MicroRNAs within the continuum of postgenomics biomarker discovery. 2013 Arterioscler Thromb Vasc Biol. Willeit P, et al. Circulating microRNAs as novel biomarkers for platelet activation. 2013 Circ Res. Willeit P, et al. Circulating MicroRNA-122 Is Associated With The Risk of New-Onset Metabolic Syndrome And Type-2-Diabetes. 2016 Diabetes. Zampetaki A, et al. Prospective study on circulating MicroRNAs and risk of myocardial infarction. 2012 J Am Coll Cardiol. Zampetaki A, et al. Plasma microRNA profling reveals loss of endothelial miR-126 and other microRNAs in type 2 diabetes. 2010 Circ Res. Sunderland N, et al. 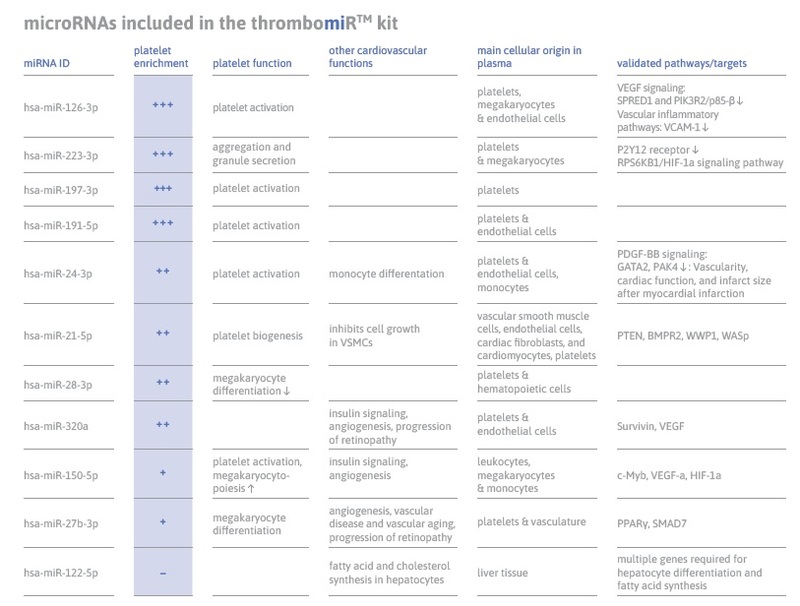 MicroRNA Biomarkers and Platelet Reactivity: The Clot Thickens. 2017 Circ. Res.